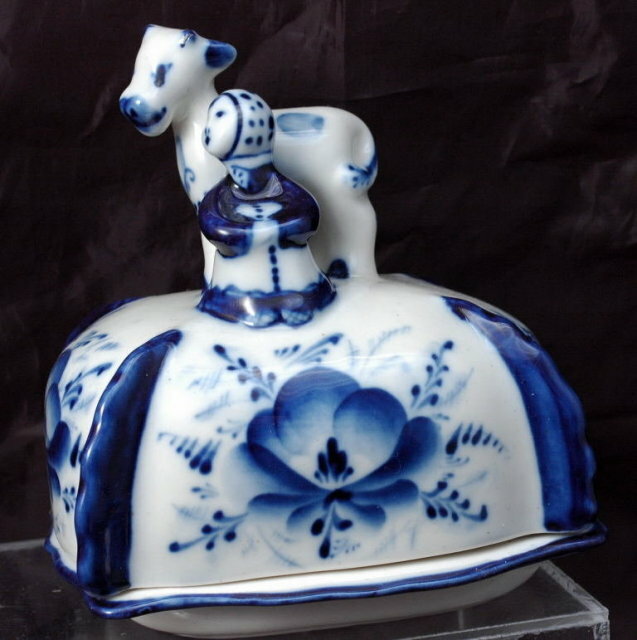 Unique and adorable Peasant Girl with Cow Lidded Russian Blue White Porcelain Butter or Cheese Keeper. 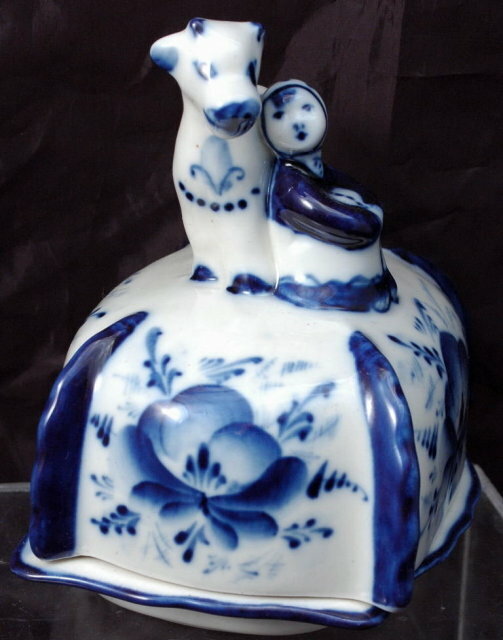 It is all hand painted cobalt blue under glaze with beautifully flower and ornate trim on all corners. It is marked on the bottom but the marking is very worn and illegible. It does look like a partial crown. The condition is very good to excellent with exception of tiny nick on the bottom rim of base and the fact that the mark is worn off. 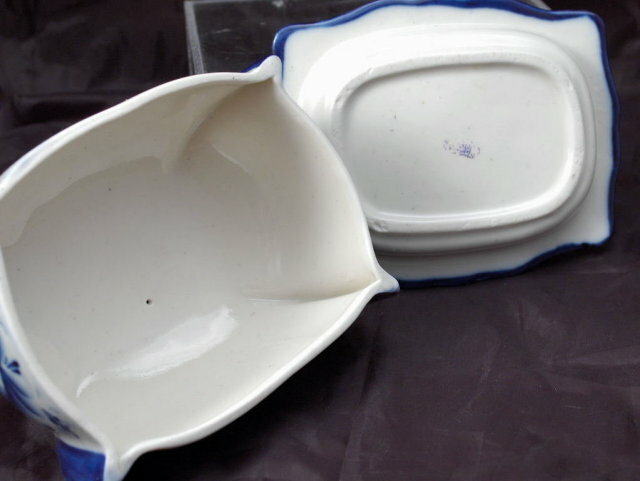 Items Similar To "Gzhel N.and V.Bidak "The small herdess" Butterdish. Porcelaine...."